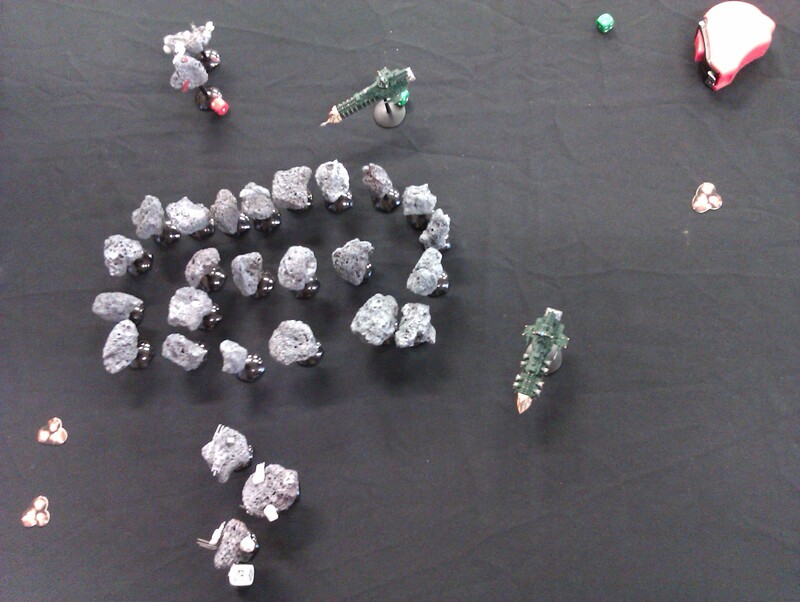 Second turn of my local clubs mini-BFG campaign and the Renegades and Orks once again clashed over the same planets of the Calixis Sector – the Renegades mounting an abortive push against the sector capital of Scintilla, while the Orks managed to wrest the mining planet of Luggnum from the control of the Renegades. 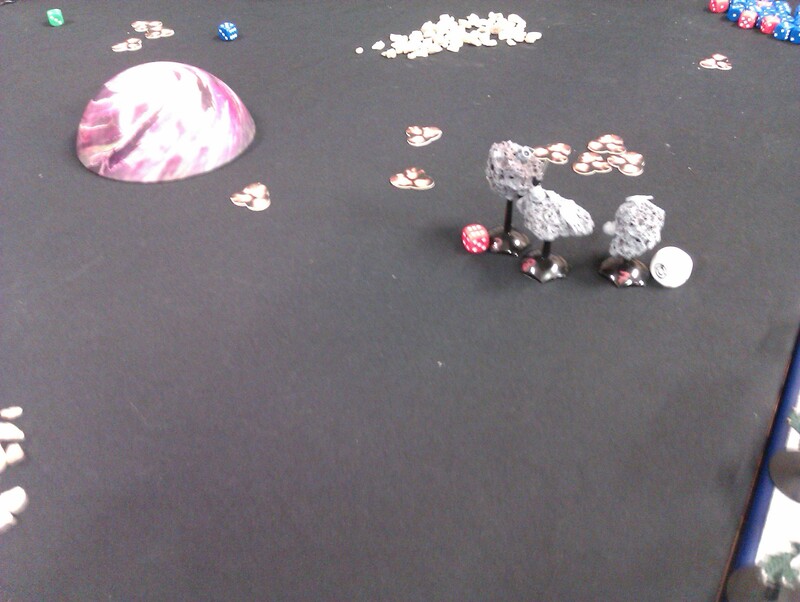 The ork victory meant that the planet switched control. 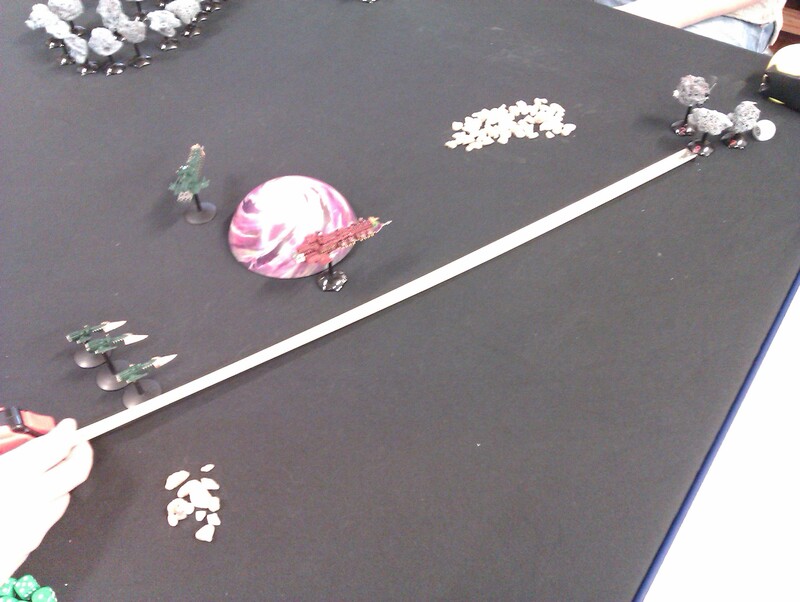 Lots of pictures this week! 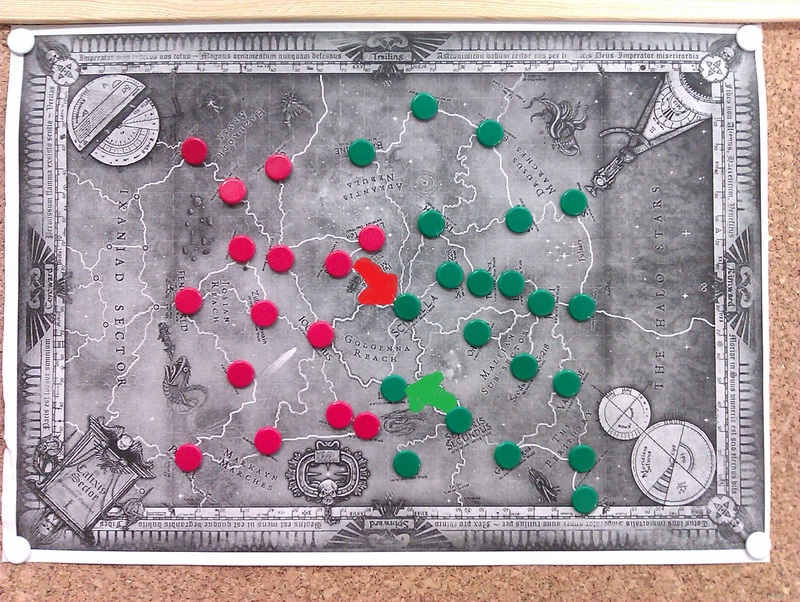 The Imperial vs. Rok game came to a strong Ork victory in the end, with most of the Roks making it off the board. 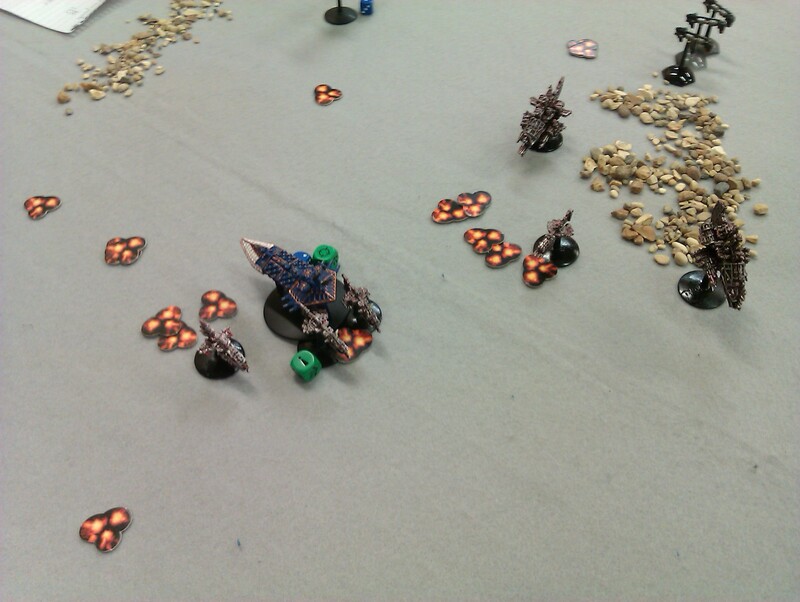 With this victory, Mike the Ork Warlord, won a refit for his Big Mek’s Rok – they decided to build Killa Kans to help with the reloading of ordnance. 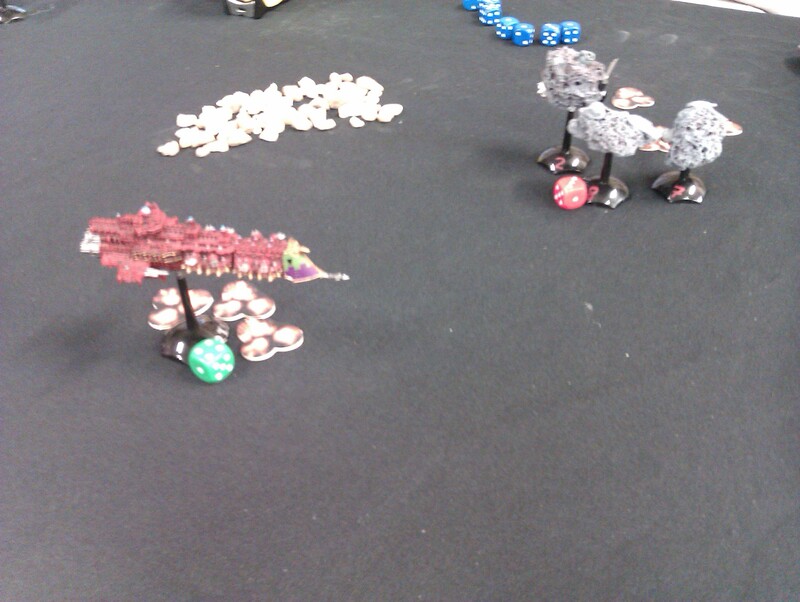 The Ork vs. 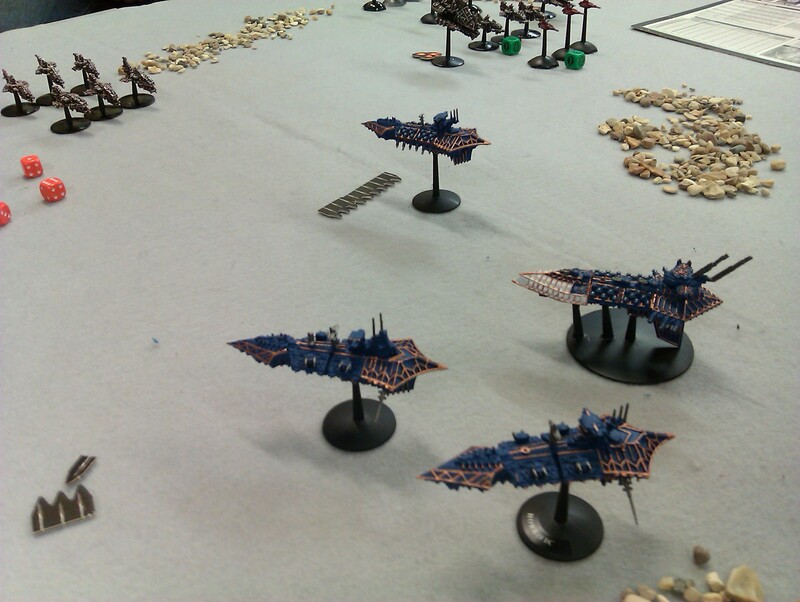 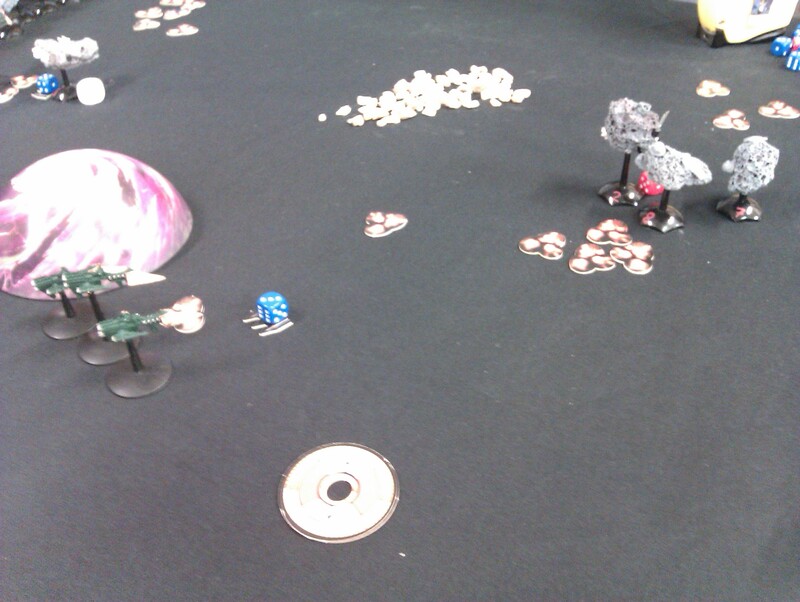 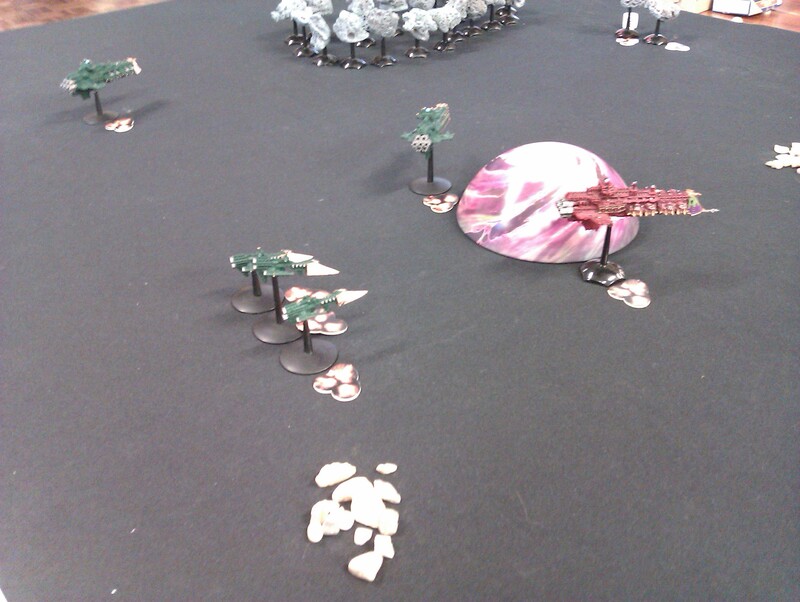 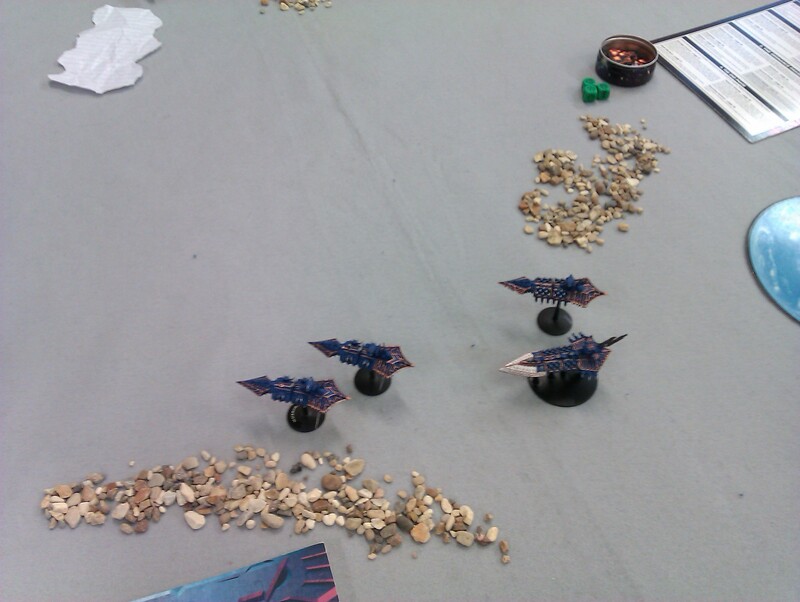 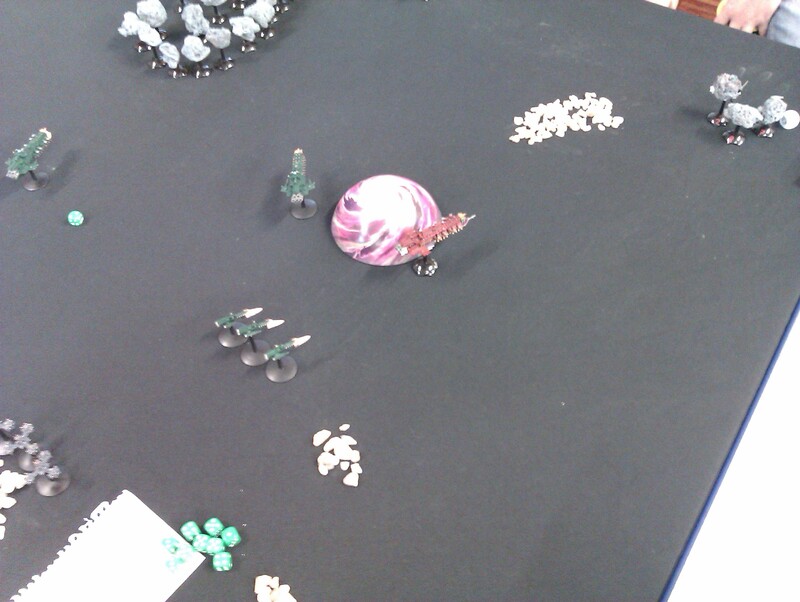 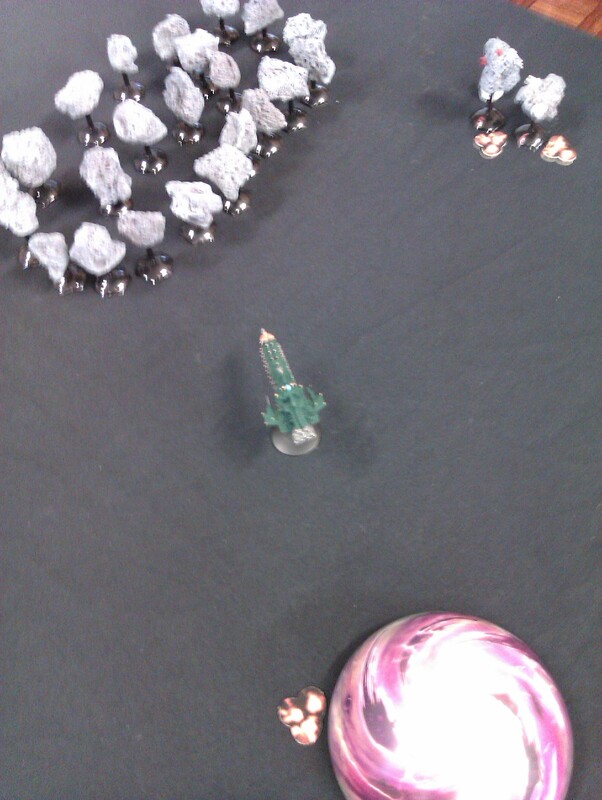 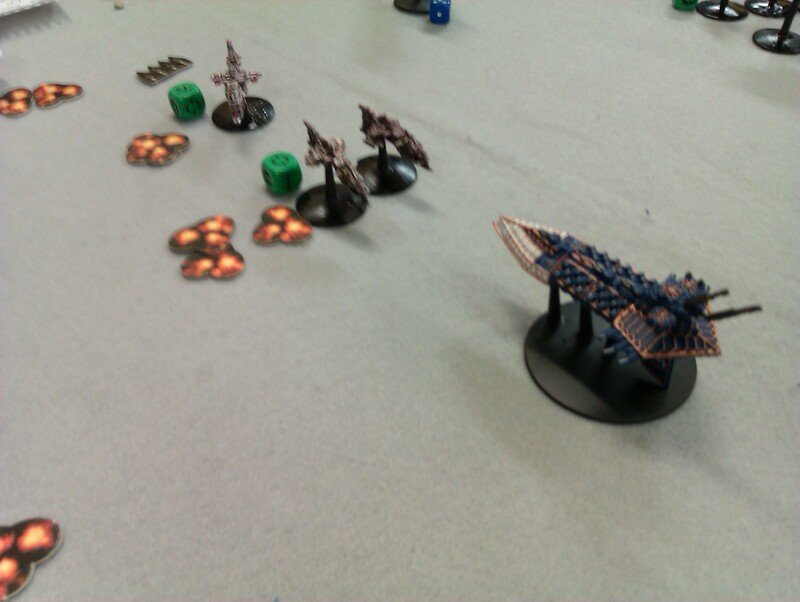 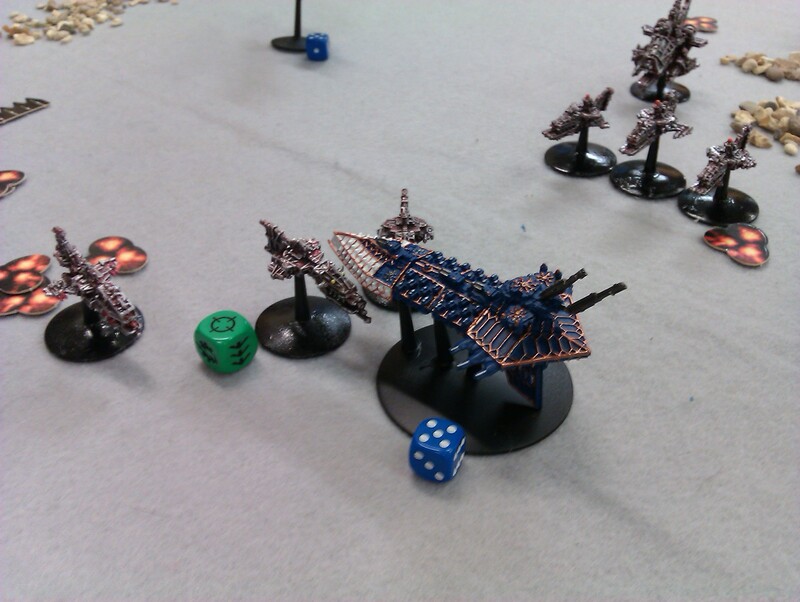 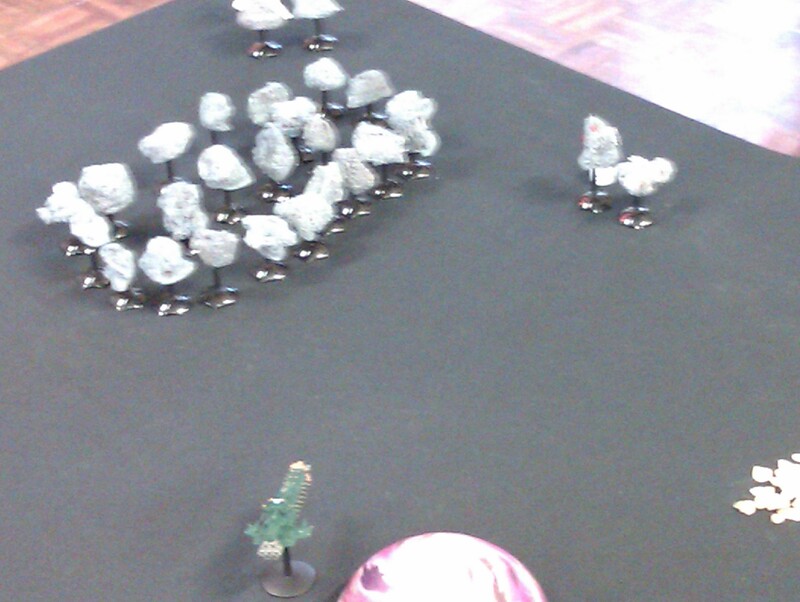 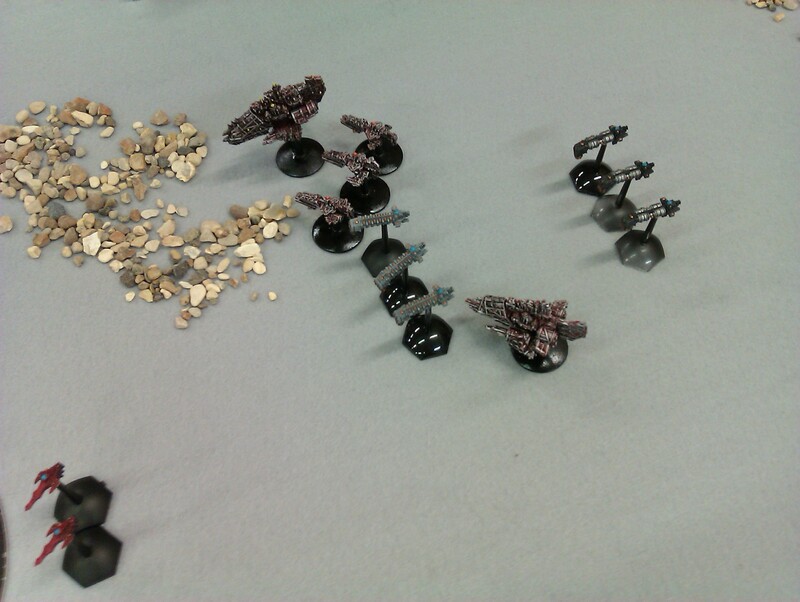 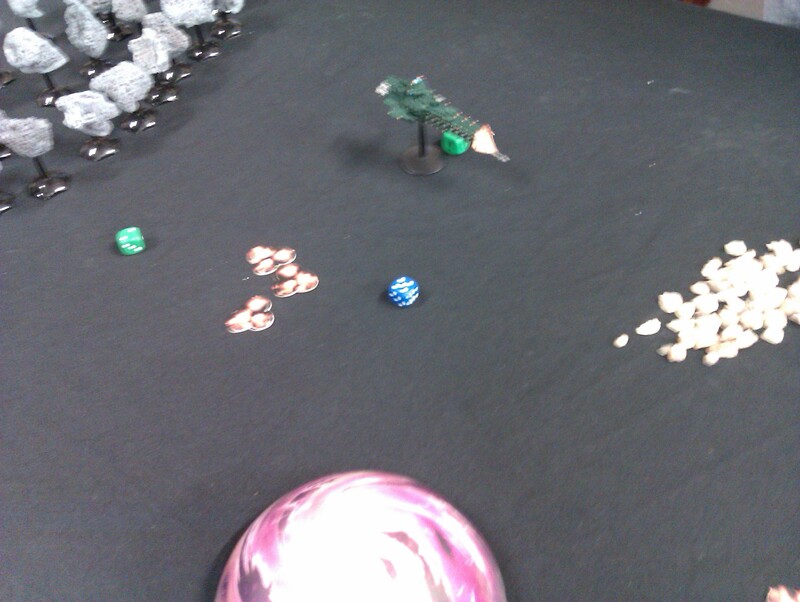 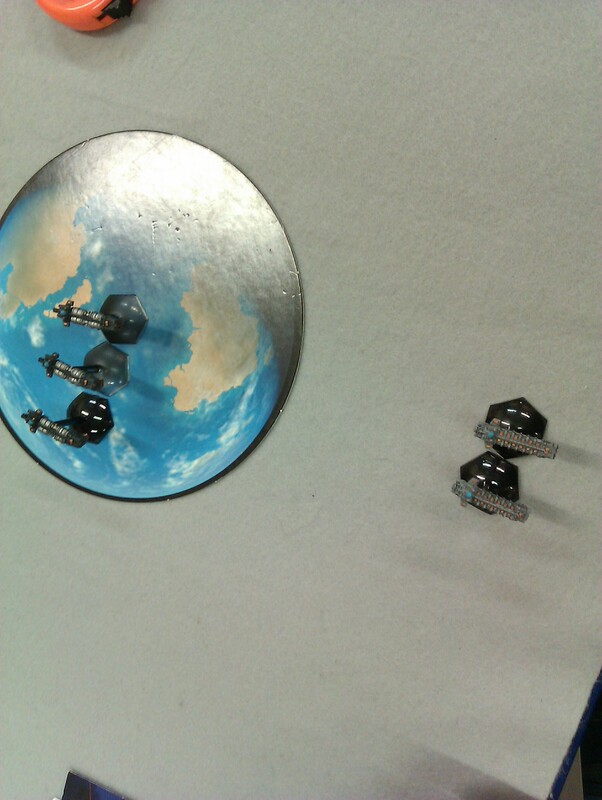 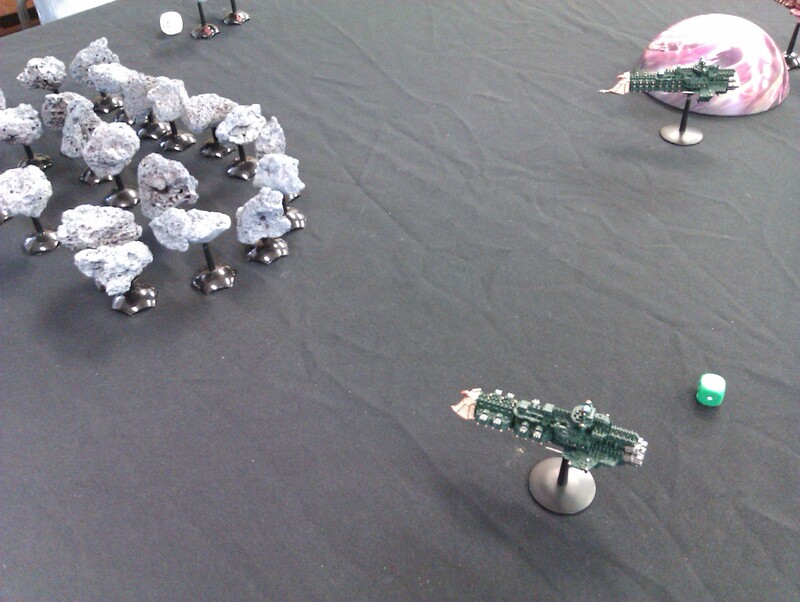 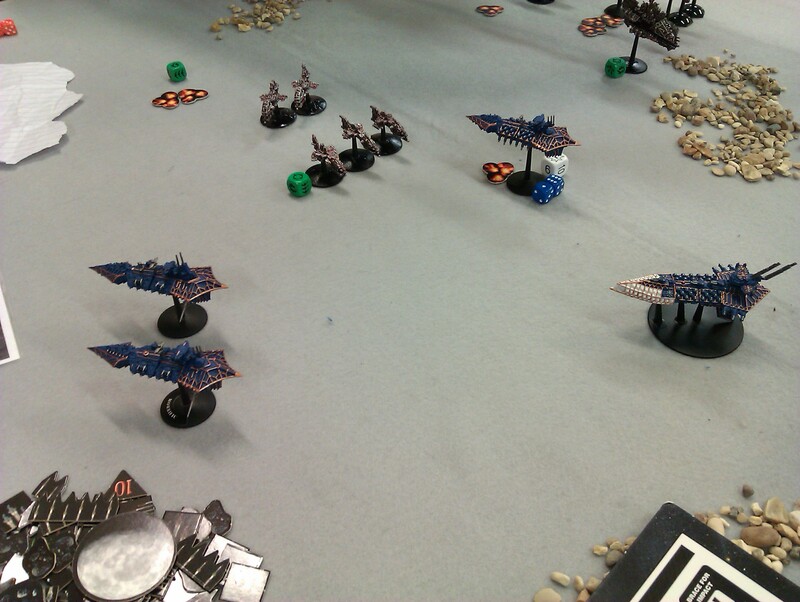 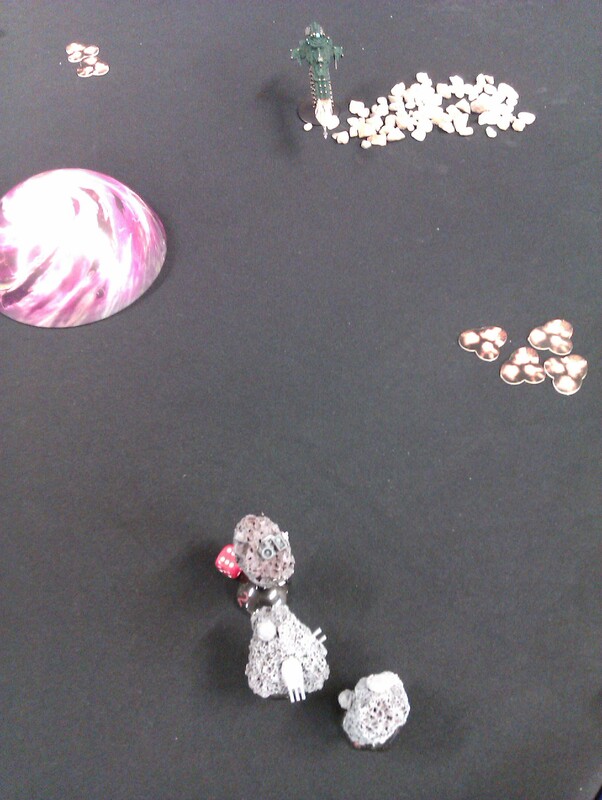 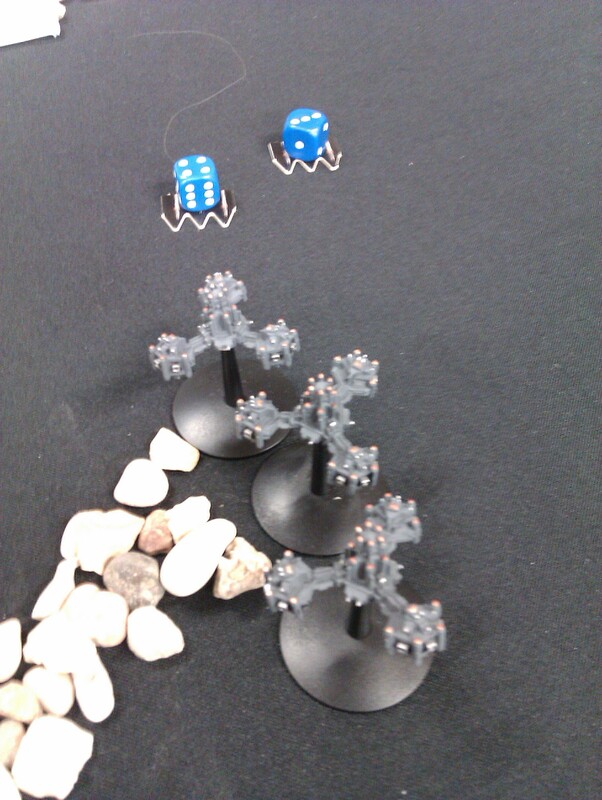 Chaos game was much closer – 408VP’s to 393VP’s – only 15 victory points giving the Ork fleet the win. 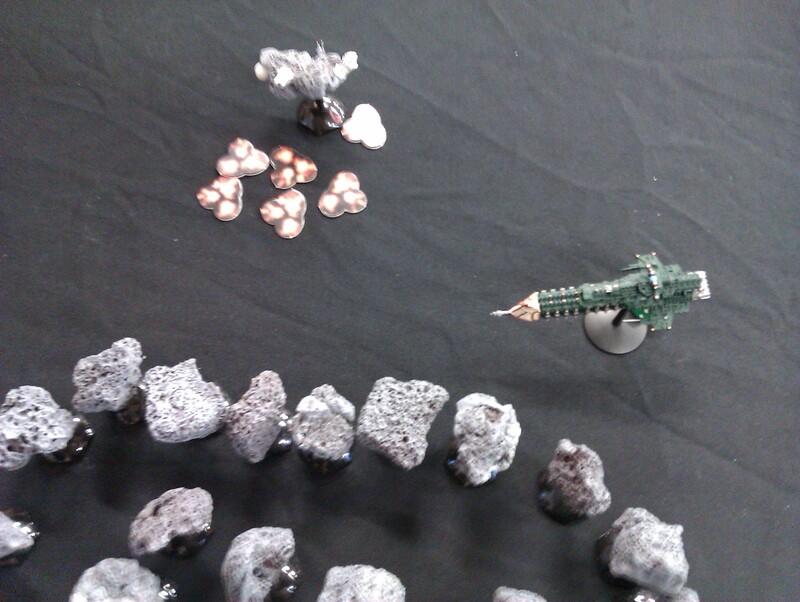 As a reward the Terror Ship in the Ork fleet received Mad Bommerz – meaning that instead of rolling D3 attack runs, the Fighta-Bommas will make D6 attack runs – very nasty! 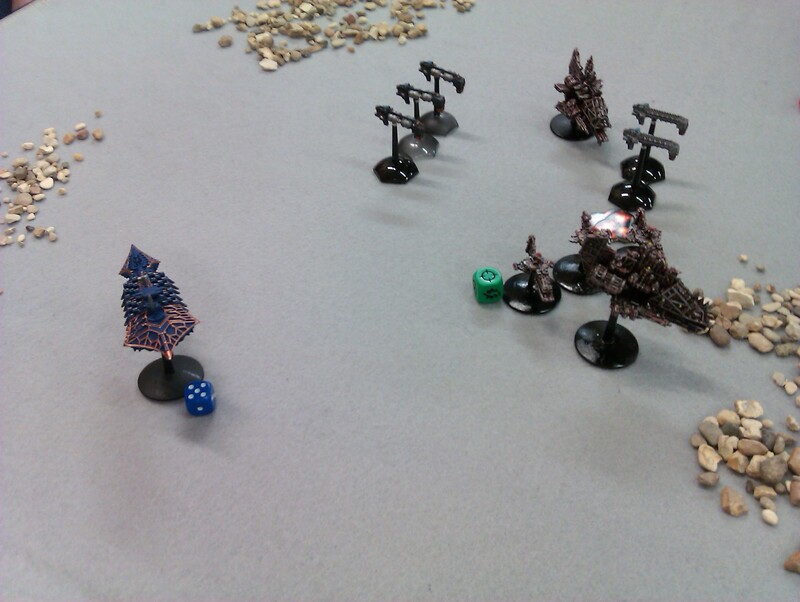 Current campaign score is 19 to the Renegades and 22 to the Orks. 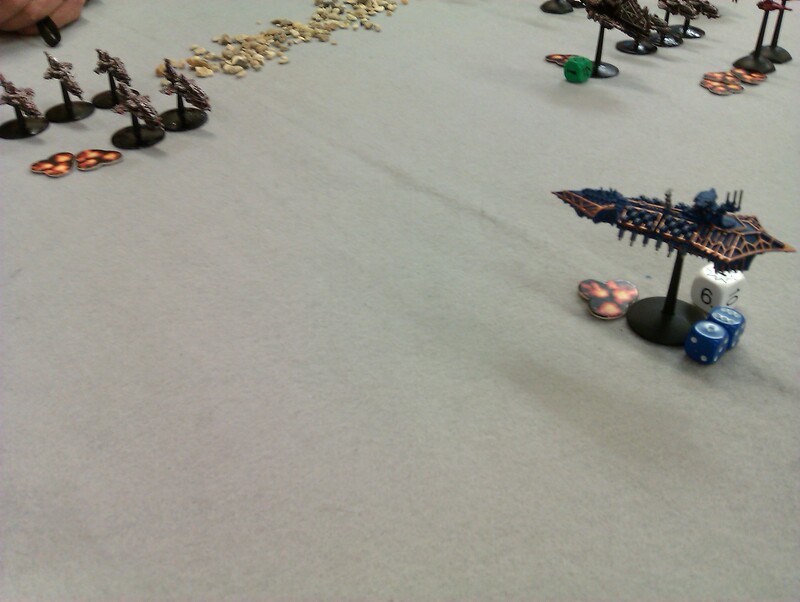 I hope everyone is enjoying these little reports / pictures – feel free to leave a comment!